Nancy Waweru (WSLA 2016 graduate) is a Programme Director at Vijana Amani Pamoja (VAP), a sport for development organisation in Nairobi, Kenya. It uses football to empower young people to make positive, healthy decisions in the areas of HIV/AIDS, anti-corruption and female empowerment. 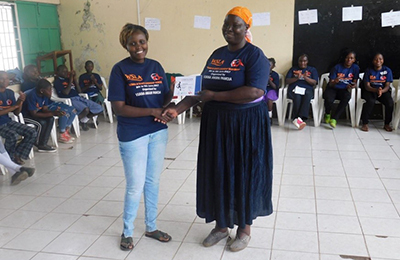 Nancy was awarded £500 by the AWF, which was matched by VAP, to develop Paying It Forward. 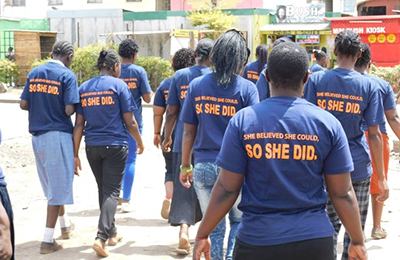 The project brought together female leaders who have been actively involved in VAP programmes in schools and community centres, as well as popular women sports leaders and female sports coaches. 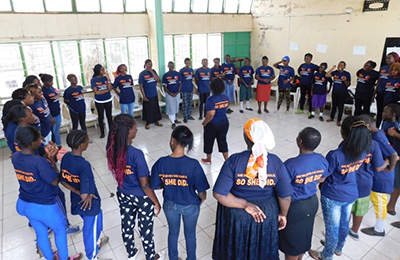 The main objective of the two-day workshop hosted in June was to increase leadership capacity and to create a space for women sport leaders to share and acquire leadership skills. Group discussions, activities and lectures focused on leadership, self-assessment, safe spaces, conflict management, psychology, recruitment and resource mobilisation. Nancy told us that she was ‘privileged’ to work with a great committee and team of workshop facilitators.